Baked Ragi Namak Pare – My healthy spin on the traditional Namak Pare. These are made with 70% Ragi flour and baked instead of being fried while retaining all the crunch and the fun! Now there is absolutely no restriction on how many namak pare you can eat! If you are a regular here, you would know I love everything Ragi! It has such a distinct character and taste! It being healthy and rich in iron, for me is just incidental.Read more about millets and how they compare with wheat and rice on my how to introduce Millets in our diets. I frankly couldn’t wait to share this new recipe here with you guys.I am also thinking about making a sweet version of this. 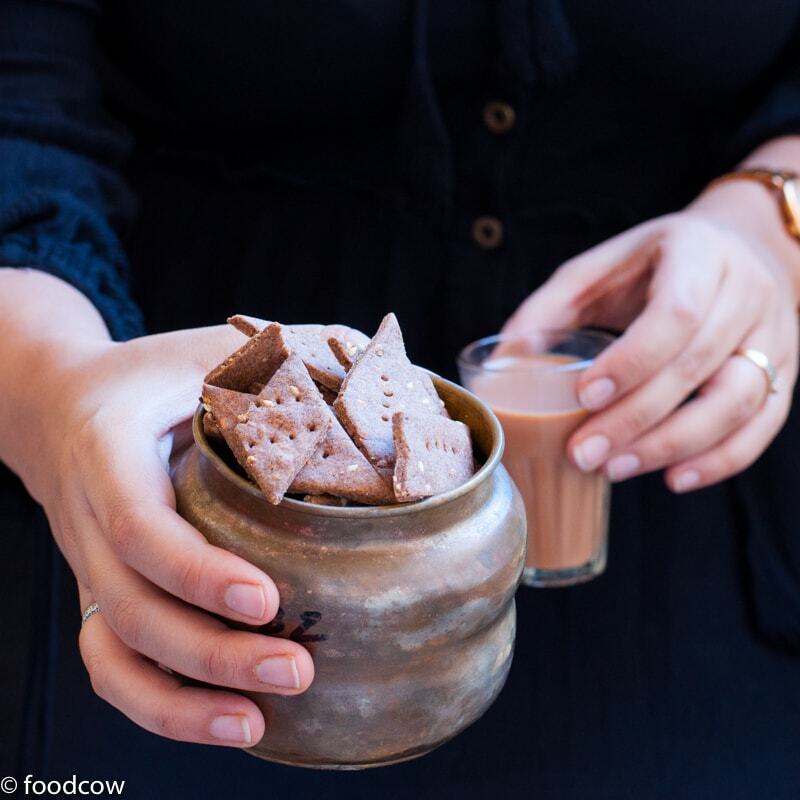 Traditional namak paare are extremely heavy and carb rich.They are not the healthiest snack you can consume but there is something highly nostalgic about them and that’s the reason I decided to make these Baked Ragi Namak Pare without the extra calories! Baked Ragi Namak Pare - Easy to make, crunchy and tasty , healthy Baked Indian Savory Snack perfect for tea time. Mix the Ragi flour, all purpose flour, chilli powder, jeera,sesame and carrom seeds.Add Salt. Add milk and mix.Add 1 tsp water at a time and bring the dough toghether. Cover and rest in fridge for 15-20 minutes. Bake in preheated oven at 170 degree C for 12-15 minutes. Read more about millets and how they compare with wheat and rice on my how to introduce Millets in our diets. Here are some more yummy Indian treats for you!